Two new middle-grade releases starring determined young women have topped our top 10 children’s and YA books from last week. 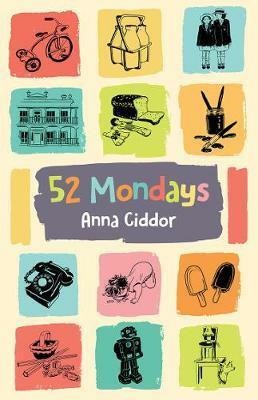 Anna Ciddor’s 52 Mondays is a heartwarming and funny story about a year in the life of a Jewish family set in the 1960s in Melbourne, and a young girl’s determination to buy the doll of her dreams. Yassmin Abdel-Magied’s You Must Be Layla is for a slightly older, upper-primary audience and it follows a chatty, headstrong 13-year-old scholarship student determined to succeed at her new fancy high school. Other titles for emerging readers in our top 10 include Fing and Real Pigeons Fight Crime; while more confident readers will be spellbound by the magic of The Orchard Underground and A Crystal of Time. Last week’s bestselling picture books all help children look at their lives in different and imaginative ways: more and more families are discovering the absolute joy of Anna Walker’s latest picture book about swimming, giant walruses and facing your fears (Lottie and Walter); Chrissy Byers and Simon O’Carrigan’s Playground Circus turns a family’s visit to a playground into a circus extravaganza; and All the Ways to be Smart continues to be a hit with its message of identifying and valuing what’s unique in each individual child.